Terroir: Situated 125 miles south of Paris, the Sancerre landscape undulates at an altitude between 650 and 1,300 feet. The Loire River on the Eastern side of the hilly environment creates a relatively temperate microclimate for the wines. 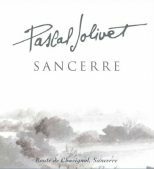 Pascal Jolivet Sancerre Blanc is sourced from three vineyards in the heart of the appellation. The “Les Caillottes” vineyard and it’s chalky soils makes up 50% of the blend, followed by the hillside vineyard of “Les Terres Blanches” at 30% and the limestone and flint riddled vineyard of “Silex” making up the remaining 20%.